recognises the importance of gender as a cross cutting issue, but not how it may be addressed. recommendations for incorporating them into each of the CSAFS Action Plan’s eight focal areas. 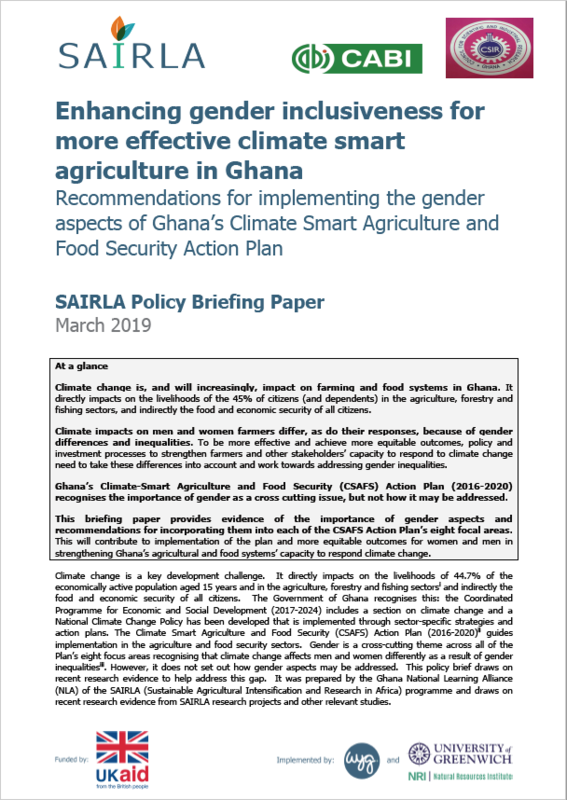 This will contribute to implementation of the plan and more equitable outcomes for women and men in strengthening Ghana’s agricultural and food systems’ capacity to respond climate change.